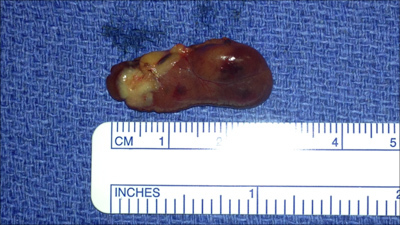 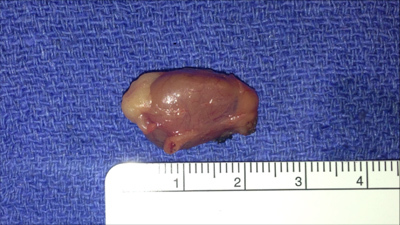 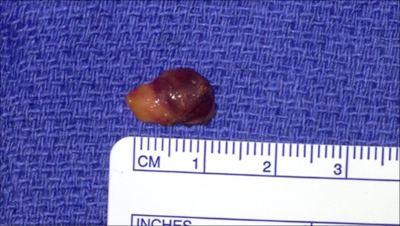 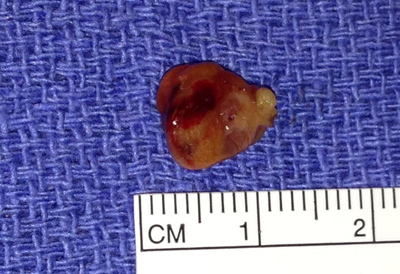 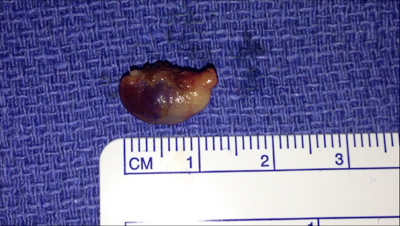 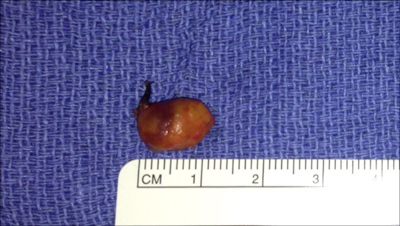 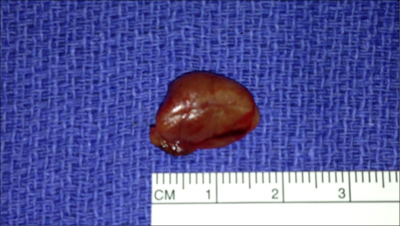 Below is a gallery of parathyroid tumors Dr. Larian has removed during minimally invasive parathyroidectomy. 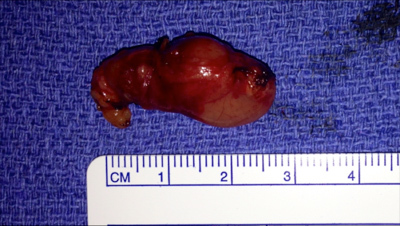 You can see the vast array of tumor sizes, as well as information about PTH levels before and after surgery. 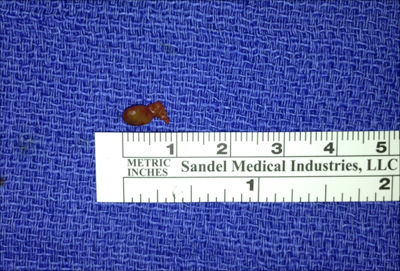 Dr. Larian utilizes the most minimally invasive surgical techniques when performing parathyroid surgery. 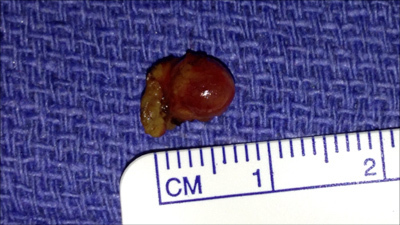 As a result, he only needs to make an incision that is 1.5 cm in length and uses a plastic surgery closure technique to further minimize the appearance of the resulting scar. 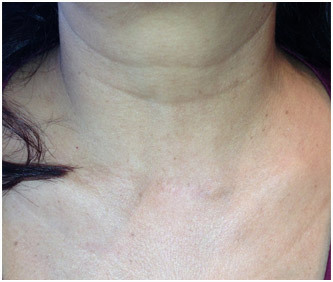 See the entire photo gallery of patients after minimally invasive parathyroidectomy with almost invisible scars. 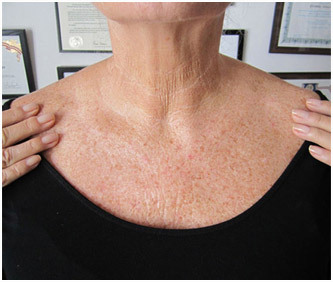 If you are suffering from hyperparathyroidism, schedule your consultation with the best parathyroid surgeon – Dr. Babak Larian. 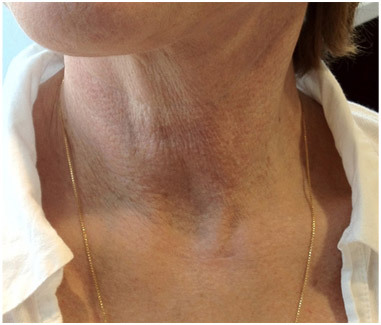 During your consultation with Dr. Larian he will make sure your parathyroid disease is diagnosed properly and answer any questions you may have about his innovative approach to parathyroid tumor removal surgery.